للمسافرين الذين يرغبون أن يعيشو كل ما تقدمه نيو كاستل, Hotel Ibis Newcastle هو الخيار الأمثل. يمكن من هنا للضيوف الاستمتاع بسهولة الوصول إلى كل ما تقدمه هذه المدينة النابضة بالحياة. بالنسبة لمن يريد الخروج، هذه بعض المعالم السياحية المتوفرة للزوار Marketown, ‪Maritime Centre‬, ‪St Andrews Presbyterian Church‬. إن حسن الضيافة والخدمات الراقية التي تعرف بها Accor Hotels تغني تجربتك في Hotel Ibis Newcastle. هذه بعض الخدمات الموجودة في هذا الفندق: أمن على مدار 24 ساعة, خدمة التنظيف يوميًا, خدمات بريدية, خدمة سيارات الأجرة, مجهز لذوي الإحتياجات الخاصة. بالإضافة لهذا,تتضمن كل غرف الضيوف مجموعة واسعة من وسائل الراحة . بعض الغرف توفر حتى تلفزيون بشاشة مسطحة, اتصال لاسلكي بالإنترنت, غرف لغير المدخنين, مكيف هواء, تدفئة لإرضاء أكثر الضيوف تطلباً. يقدم الفندق مجموعة واسعة من وسائل الراحة المتنوعة، كمثل: حديقة. يشكل Hotel Ibis Newcastle بخدماته الراقية وموقعه الممتاز، قاعدة مثالية للاستمتاع بإقامتك في نيو كاستل. Surprisingly the Ibis in Newcastle was a good stay. Friendly staff at check-in and throughout the stay along with a clean, yet compact room. The bathroom is something like a capsule, and seems a little weird at first, but makes the most of the space available. The bar in the lobby has a happy hour or two from 5pm, a good dinner menu and breakfast mini-buffet. Overall was surprised. From the moment I checked in to the time I checked out, I left welcome and had a great feeling of being looking after. The room was a little smaller than I was expecting, however it was clean, with good decor and very comfortable. The staff were all friendly and professional. We stayed here last October and got one tote bag missing after they cleaned our room. We complained this at the receptionist's desk and we only got a sorry. No effort was done to ask other staff if anyone accidentally picked up a tote bag or threw it away. Good thing we did not place any valuables inside, was disappointed cause it has souvenirs and food as gifts to our friends and relatives. Will not recommend this hotel. 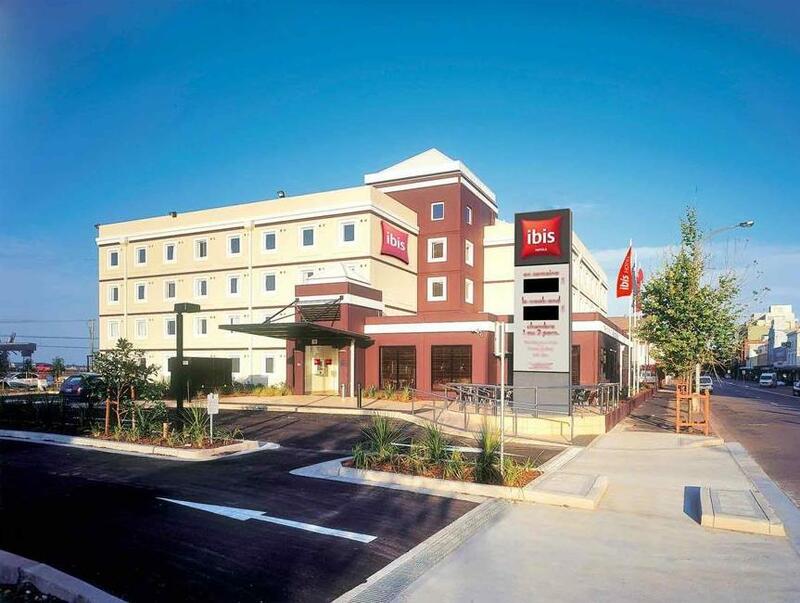 A standard Ibis Hotel. Good location right in the town centre. Aircon was a bit noisy but room was clean and comfortable. The Hotel charges extra for parking so be aware of that. Having said that, there is plenty of parking on the road outside for free after peak traffic hours. Given you're most likely here in Holiday, you will only require parking overnight. I parked on the road with no issues. Didn't eat at the restaurant so cant comment on food. Staff were efficient and friendly. Room was very small but comfortable and clean. We both had a terrible nights sleep because it seemed like every time anyone in the complex used a bathroom the very loud noise of water running through pipes woke us!!!! I attended a conference the next day rather the worse for wear! My stay was fine, I stayed two nights, Sunday, Monday night for business. My room was quiet although I'm not sure how it would be on a Friday or Saturday night. My pillows were too high for my comfort, no room service, but there was a 24 hour cafe down stairs which was fine and the staff were all very friendly. Ideal motel if just wanting to put your head down and not spend too much time in the room. Clean, but basic facilities. Bathroom more like what you would find in a caravan ( capsule like) . Ok for price paid.. 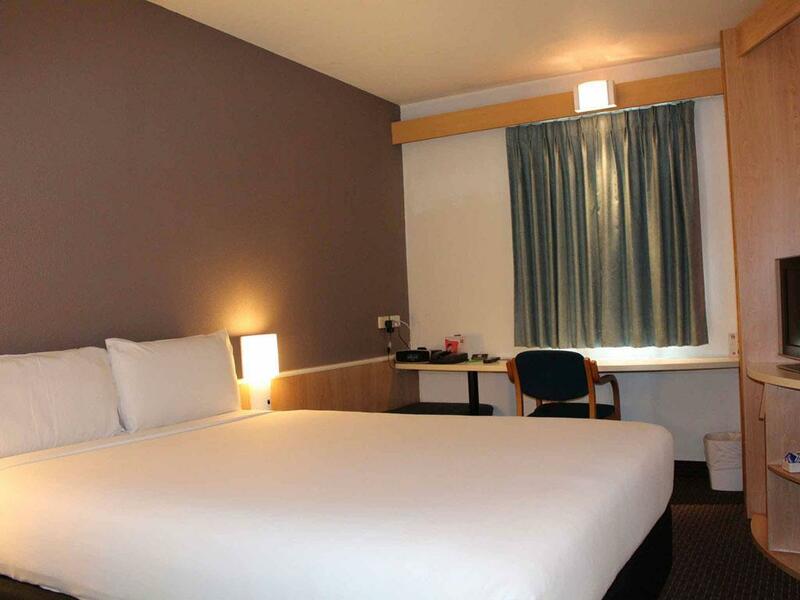 I have stayed at the Newcastle ibis quite a few times before, mainly due to it's location in the city! I think that it is a overpriced hotel for what it is, but if you have business in the city it is in an ideal location! if you can shop around there are much better places to stay in Newcastle for the same money! The stay was good and the staff had very good service attitudes. Resolved my problem of broken toilet within the same afternoon! Need more power points that are more accessible. Hotel did not inform that there is any charge for carpark and also i did not agree in the sign in agreement. however when I check out hotel charge carpark for my stay. which is terrible. When i ask with hotel staff, they said there is a terms and condition at the hotel, but I went there and have a look it was located opposite site to drivers and also cant read it. desk staff were good, maintenance is non existent (IE; elevator buttons don't really work properly, and held together by sticky tape, same with a few things like laundry, ironing board) Cleaning staff were terrible (first hotel in decades that I didn't leave a tip for them. We stayed for 2 nights there, the room seemed ok but then we found spider nets on the sealing, we ask to the housekeeping guy if he could take care of them when he had to do the room, and even that the guy said yes, he never did it. Also the hallway smell funny. You have to pay 15aud for parking. The girls at the front desk were very nice. Very cramped and small room, especially the bathroom. Its a capsule type, toilet bowl and shower. Also, no wifi in the room, have to go to the lobby to access free data, not traveler friendly. I have kids so its troublesome. Not recommended for family.